During a recent holiday I put down a popular magazine, which I’d noticed referenced several ideas stemming from the human givens approach – whether the authors realised it or not – to finish reading my father Ivan's memoirs. It was interesting to reflect just how far HG has come in the 20 years since he and Joe Griffin started working together – tens of thousands of people in the UK and overseas now regularly use the human givens approach, or benefit from it – and countless others have been influenced by the clarity and new insights it’s brought to psychology and psychotherapy – again, whether they call what they’re doing ‘human givens’ or not! 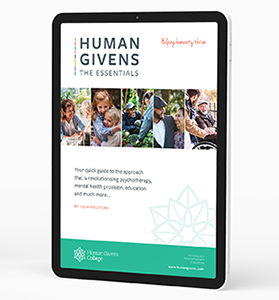 As part of our continuing work in raising the profile of the human givens approach, so that more people can benefit from it worldwide, we recently launched an ebook – Human Givens: The Essentials on the HGI’s website. This quick guide to HG, written by Julia Welstead, is a great introduction – and a useful tool if you'd like to help us raise awareness of the many benefits working from the human givens approach brings to individuals, organisations and even society at large. It explains, among other things, why we need such an approach and how people from different professions are using the HG framework to help others. The Professional Standards Authority, which accredits the HGI’s Professional Register in the UK, is working hard to promote PSA-Accredited Registers, which is great news for human givens therapists and HG in general. The PSA have also produced a helpful leaflet – Let’s Work Together – which is available to download here – it’s a useful aid for any HG therapists wishing to explain what the PSA-accreditation means and/or raise awareness of the HGI’s UK-accredited status. The Irish Minister for Health, Simon Harris TD, has recently announced his intention to regulate counselling and psychotherapy in Ireland, the first stage of which is a consultation process – click here for further details. The HGI will be making a submission on behalf of existing and future HG practitioners in Ireland. The proposed structure for achieving this is analogous to the process and methodology already undergone as part of our successful PSA accreditation application in the UK. This gives the HGI a strong foundation and map to deliver a substantial submission to ensure that Human Givens Therapists in Ireland are included in its new regulated landscape. The Just What We Need (JWWN) Therapeutic Programme Facilitator Training is an innovative, creative and fun 4-day programme that enables individuals to explore the principles of the Human Givens approach – our innate emotional needs and resources – within a safe, positive, active and creative environment. The flexibility of this course ensures that facilitators are able to use their creativity, within the security of a structured overarching framework. 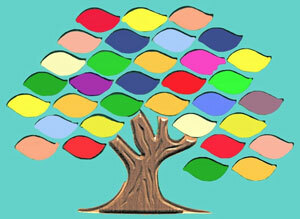 They will gain the knowledge and confidence to deliver the 12-week JWWN programme for parents, or their unique group. JWWN’s key unique feature is the focus on parents’ understanding of their own emotional needs, allowing them to meet the needs of their children in more healthy ways, and the consequent change in dynamic between parent and child, leading to changes in the child’s wellbeing and behaviour. 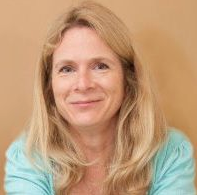 Aimed at parents/carers, students, teachers and counselors, the 90-minute webinar is given by Gareth Hughes, an HG psychotherapist working in the counseling department of the University of Derby, who condenses his wealth of experience into sound, practical advice on how best to prepare for the many changes and challenges of university life. With many students and young people suffering from anxiety disorders and emotional health problems, the wide range of information he covers focuses on minimising the stress and anxiety for all concerned so as to reduce the potential negative impact this important transitional time can have on students’ emotional health – read more. In the 1930s a Bedouin tribesman introduced a young Irish doctor to the powers of the subconscious mind. Sixty years later, after doing over four thousand operations using hypnosis. Dr Jack Gibson talks to Joe Griffin..
Brett Culham describes the outcome of his research to validate the needs-based human givens approach to psychological health. A young Russian woman, Nina, describes how just three sessions of human givens therapy lifted out of her suicidal depression and turned her life around.